This is an eb-inspired piece (see "ONION" for more). 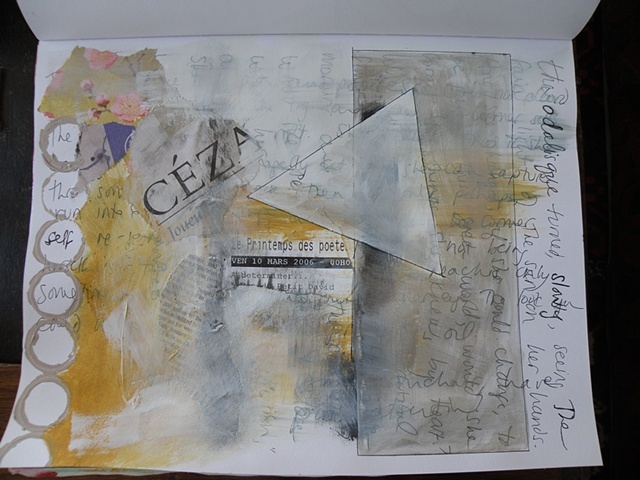 It is a piece of my own fiction at bottom, overlaid by newspaper and ticket collages, with a triangle and rectangle over that. We visited Cézanne's studio in Aix-en-Provence over twenty years ago, and this was the light of that day.